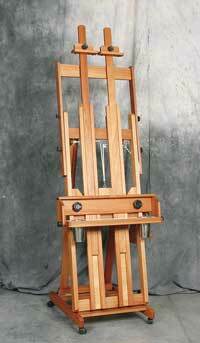 Please look this easel over from top to bottom and see if you would not want to own this easel, it has every possible feature for the artist who paints large scale. Made of renewable Lyptus wood. Ships partially assembled by truck,additional freight charges may apply. 1167 points will be rewarded when you are logged in to your account and buy this item.